Baird Opens Wealth Management Office in McLean, Va.
McLean, Va., Oct. 26, 2017 –Baird announced today that it has opened a wealth management office in McLean, Va., the firm’s second in the state. The Popovich Financial Group, which is led by Nancy Popovich, Managing Director, will work from the office located at 1750 Tysons Boulevard, Suite 260. 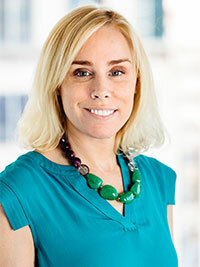 The office is managed by Jim McGuire, Senior Vice President, who also manages Baird’s wealth management offices in Philadelphia and Reston, Va.
Popovich lives in McLean with her family and is actively involved in the community. She is a founding co-chair of the Women’s Health and Empowerment Circle Advisory Board at the Virginia Hospital Center and donates her time to other area non-profits including Hopecam and Neediest Kids. Baird is an employee-owned, international wealth management, capital markets, private equity and asset management firm with offices in the United States, Europe and Asia. Established in 1919, Baird has more than 3,400 associates serving the needs of individual, corporate, institutional and municipal clients. Baird has $171billion in client assets. Committed to being a great place to work, Baird ranked No. 4 on FORTUNE’s 100 Best Companies to Work For in 2017 – its 14th consecutive year on the list. Baird is the marketing name of Baird Financial Group. Baird’s principal operating subsidiaries are Robert W. Baird & Co. Incorporated in the United States and Robert W. Baird Group Ltd. in Europe. Baird also has an operating subsidiary in Asia supporting Baird’s investment banking and private equity operations. For more information, please visit Baird’s Web site at rwbaird.com.